Firm founder Texas student lawsuit defense attorney Tom M. Thomas II has successfully defended thousands of Texas consumer debt lawsuits. Tom was one of the first Texas lawyers to dedicate a practice area solely to consumer debt defense. His results speak for themselves with over 1,000 cases voluntarily dismissed or ending in a judgment in favor of his client. 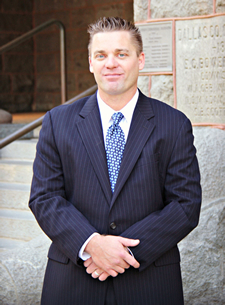 Tom is a graduate of the Baylor University School of Law and also has a finance degree from Texas Tech University. He is also a former Dallas Police Officer. When defending or prosecuting lawsuits Tom utilizes nontraditional investigative techniques that most law firms do not have. Tom is also the proud father of two little girls and resides in Dallas.